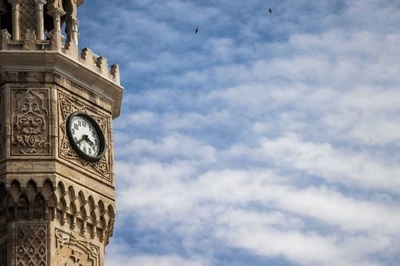 The famous clock tower is in Konak Square and it was built by Grand Vizier Sait Pasha in 1901 because of Sultan Abdul Hamid 's 25th anniversary of accession to the throne. 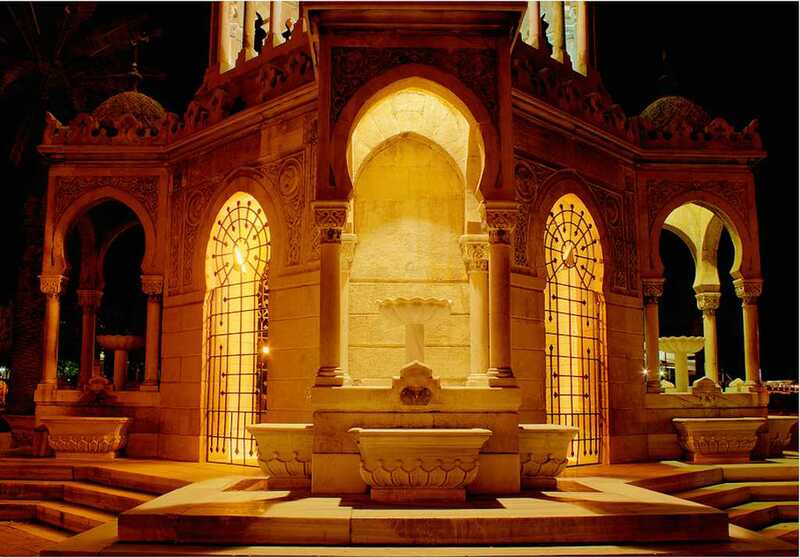 Konak Square is decorated like a pearl with its extremely sleek look. 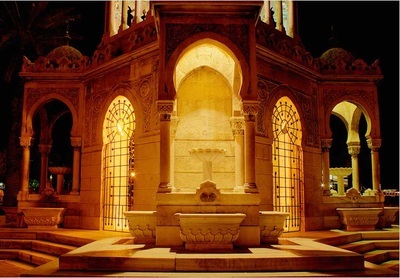 It is also considered that it is on of the symbols of Izmir city and anybody coming here is advised to stop in front of being taken a memorial picture. Feeding the birds, meeting with the guests for appointments, being taken pictures, resting on the benches for a short time after shopping and setting out the watches are the choices for the inhabitants of Izmir. 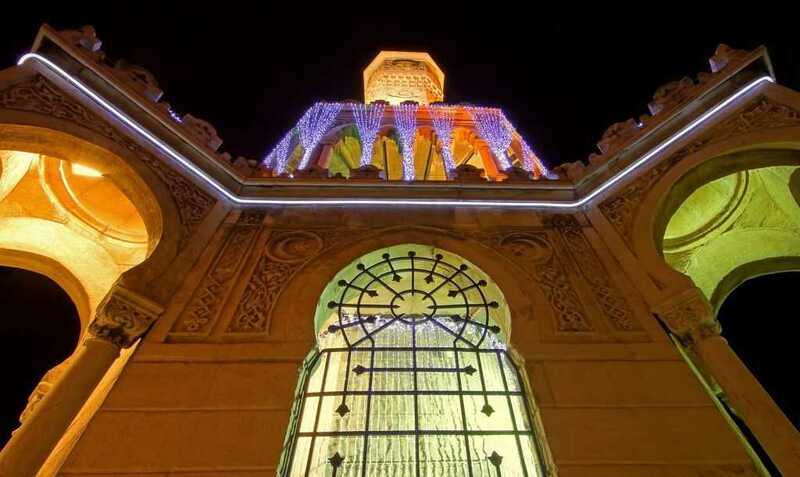 The clock tower was built in Ottoman period fo the honour of Ottoman Sultan, Abdulhamit II whom he was the sultan for 33 years in 1901 by grand vizier Mehmet Sait Pascha. 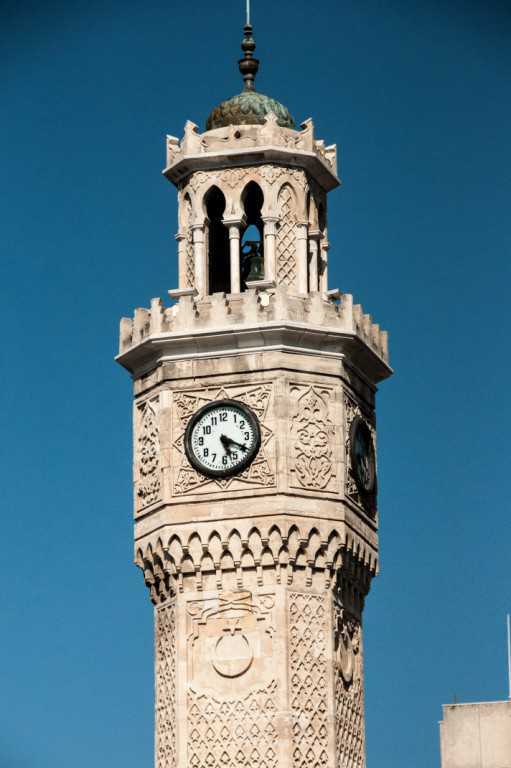 The clock on the tower was gifted to the tower by German emperor Willhem II to the Sultan. 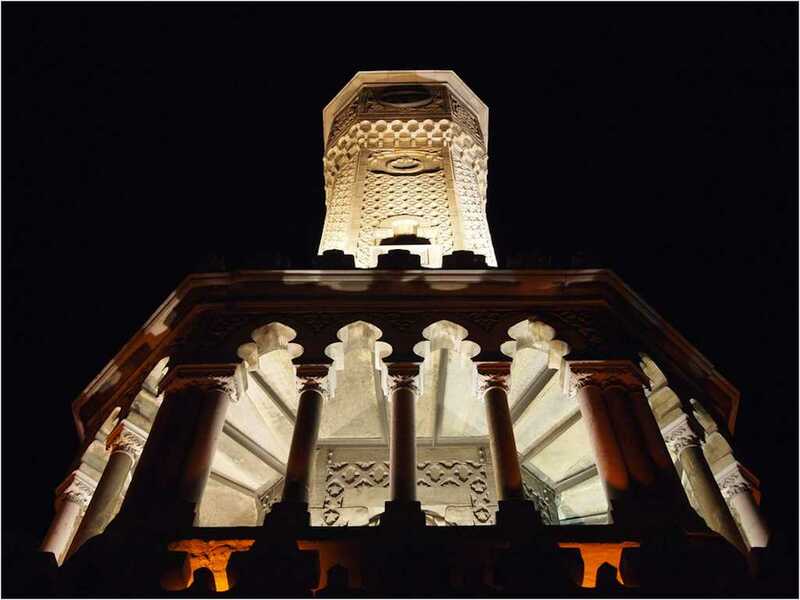 When it was built, there was a monogram of Sultan Abdulhamit as a signature by later it was removed after the republic was proclaimed. 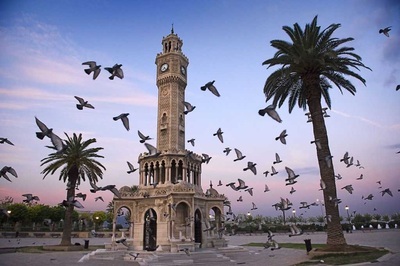 It became a traditon later to build clock towers in different cities throughout the country after İzmir clock tower had been built so it made a great impact on the inhabitants of the cities. 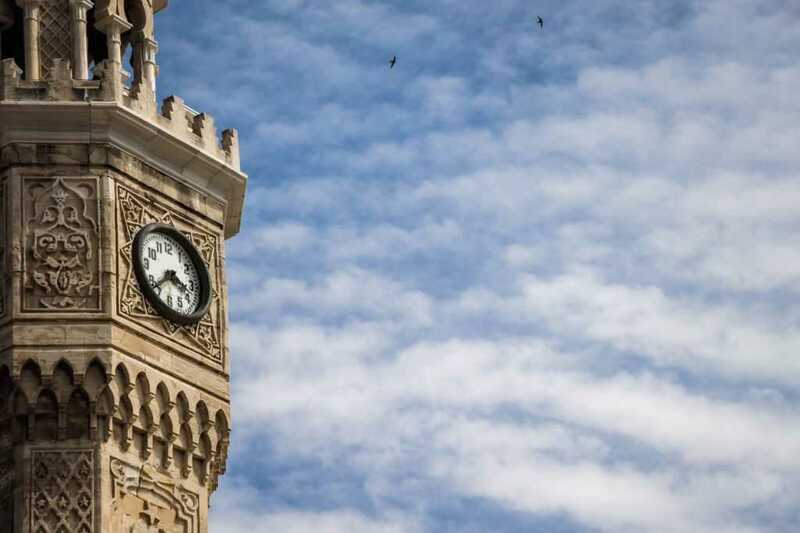 All the clock towers ,which were built in 1900s, are the cultural heritage monumaments now. All of the clock towers have been built in the main centers of the towns. 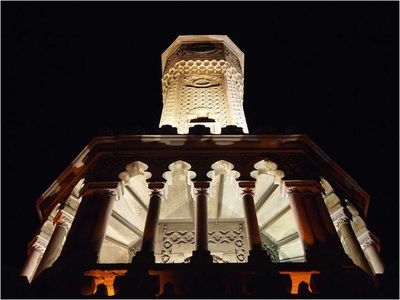 The height of the tower is 25 metres and it has four big fountains. The most important thing is to work regularly and the Izmir clock tower has been a great example to set out the watches and has been stopped once during the Izmir earthquake in 1974 as the richter scale 5.4 since it was built . It was restored in two years and it is working regular now.